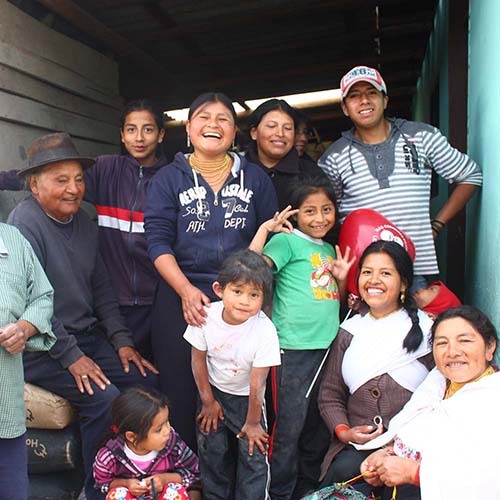 Camari provides rural artisans and farmers in Ecuador with fair wages via access to international fair trade markets. Your purchase brings hope, justice, and well-being to these individuals, their families, and their communities. I love this bag; seems to be well-made with that patch of colorful tapestry in front, it is stylish; it has the cross strap to save my shoulder has sufficient room inside with one outside pocket and one inside pocket. Also love that it zips so it's up to me to remember to zip it in order that stuff doesn't fall all over the place when I pick it up quickly. 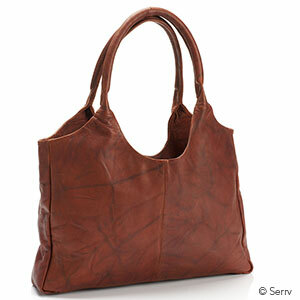 The bag is attractive but the leather is too stiff and thus awkward to open and close. Owner Response: We're so sorry you're disappointed! Please contact Customer Care if you wish to return or exchange this item. I just got this bag and I love it. 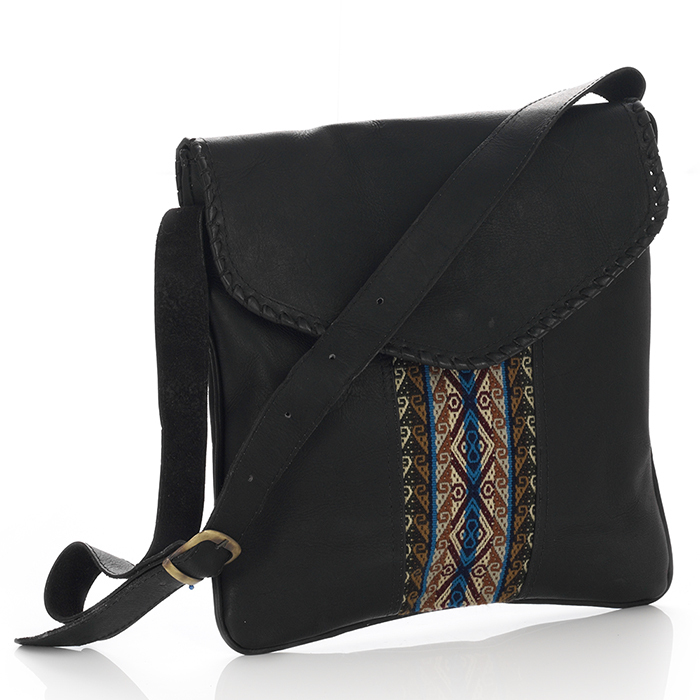 It's the perfect size, practical with the crossbody strap, and the leather and touch of ethnic pattern are beautiful. The photo does not do it justice.